Lock in a great price for Hotel Los Molinos – rated 8.6 by recent guests! Great location off the main plaza. Easy walk from the bus station though it seemed to attract people with cars because of the free parking behind the hotel. Also an easy walk to see the main sites of town which were explained with a map at check in. Liked being offered two different rooms to choose from. Amazing central location. It took a minute to find it, but once we figured it out parking was very convenient. Very comfortable beds and spacious bathrooms. 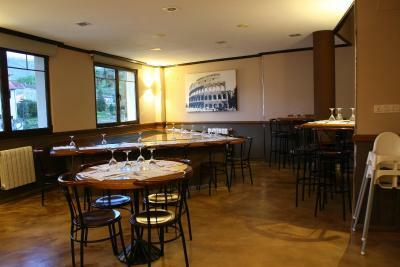 Great location and the free parking was a plus, staff was friendly and room was small but comfortable. Value. Proximity to city and all it had to offer. Free parking on site. Hotel was in a great location, within easy walking to everything we needed. Very central location with free parking. Very clean and light room with windows you could open wide to a nice view. There was a notice in the folder about a laundromat which we used, great! Our first visit to this hotel was a great experience. Great location on the main square. Beautifully appointed room. Very clean. The staff were very friendly. We spent two days in this lovely town. Our second visit and we loved it better the second time. Great location and free parking, very simple, good value. Hotel Los Molinos This rating is a reflection of how the property compares to the industry standard when it comes to price, facilities and services available. It's based on a self-evaluation by the property. Use this rating to help choose your stay! One of our top picks in Llanes.Featuring free private parking, Hotel Los Molinos is located in city center of Llanes, 650 feet from El Sablón Beach. 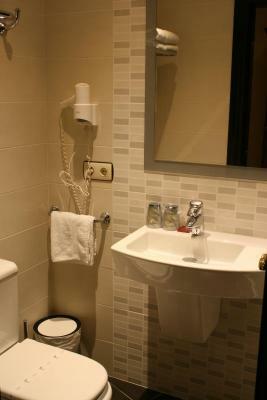 It offers rooms with a TV, central heating and a private bathroom. 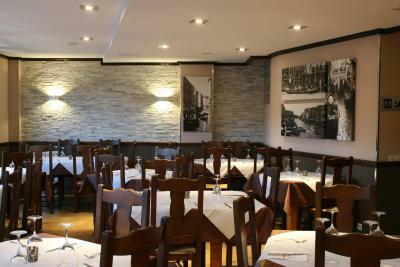 The hotel’s restaurant serves Italian food. 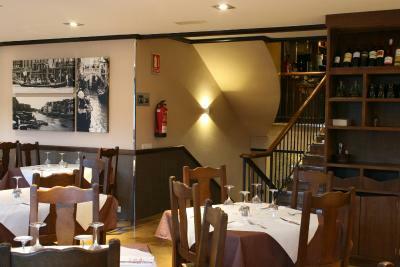 There is a variety of restaurants on Llanes's seafront, just a short walk away. 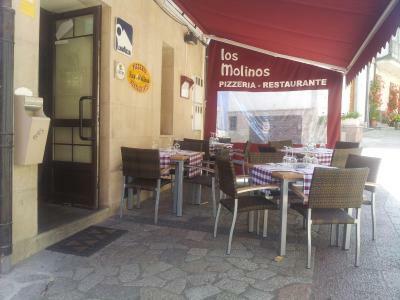 The Los Molinos is in Parres Sobrino Square, where there are several cafés and bars. 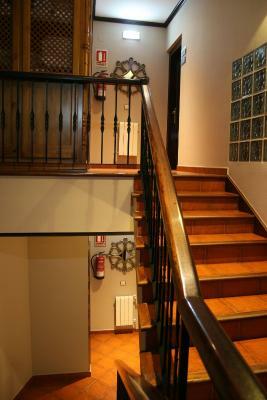 There is easy access to the A8 Motorway, and Llanes Train Station is a 4-minute walk away. 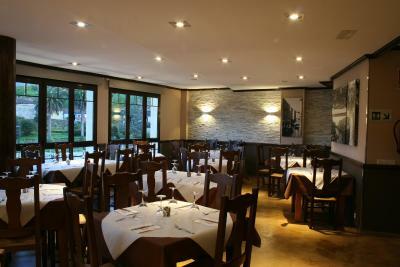 When would you like to stay at Hotel Los Molinos? This elegant room has colorful décor and comes with central heating, a private bathroom and a TV. Extra beds and baby cots cannot be added to this room type. Please not all floors are accessible by stairs only. This elegant room features sloping ceilings with velux windows. 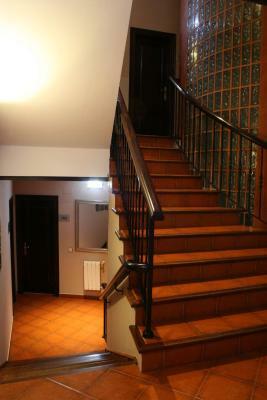 It has colorful décor, central heating and a TV, as well as a private bathroom. House Rules Hotel Los Molinos takes special requests – add in the next step! Hotel Los Molinos accepts these cards and reserves the right to temporarily hold an amount prior to arrival. Please note that extra beds must be requested in advance and are subject to availability. Please note that any surcharges are not included in the reservation and they must be paid separately during the stay. Staff were not very friendly and because it's also a pizza restaurant no one was ever around. The room felt quite claustrophobic because we were in the attic with no view outside. The room wasn't that clean when we arrived (old plaster/bandage on the floor!) And It wasn't cleaned during our 2 night stay. Overpriced for what it is. 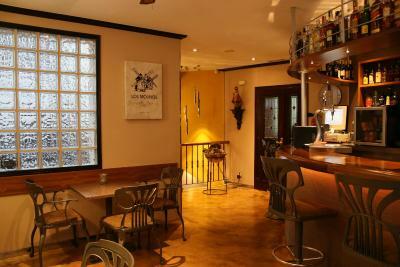 Good location just off the main square and road through Llanes. Lots of nice bars & restaurants close by. Bed was comfy enough and the WIFI worked fine. The treat from the staff was pretty unfriendly and we didn't feel very welcome. Small bed and noisy during the night. A bit of minor noise on the Saturday night. Not the hotels fault. No major problem. Bed was too short. Pillow smelt like cigarettes. The hotel is only a few rooms attached to the bar and pizzeria, which I believe were closed for the season. The close space meant that voices from the front desk carried very loudly. It was also difficult to find a cafe open before 830, so a kettle and bar fridge would have been nice to stock my own breakfast. The sat nav directed us to the front door which is not accessible by road but luckily we kept going and eventually noticed a sign for the parking round the back. However the back access to the hotel was locked so my husband walked round to the front and inspite of ringing the doorbell 3 times no-one appeared. Eventually I phoned and we were immediately let in, not a great start! There was a fair outside our window blasting music all day, and a nearby night club meant nighttime noise as well. This is not at all the fault of the hotel, but it was a factor in our stay. Wifi was abit choppy on the first night but it gets better after. the room is very clean. 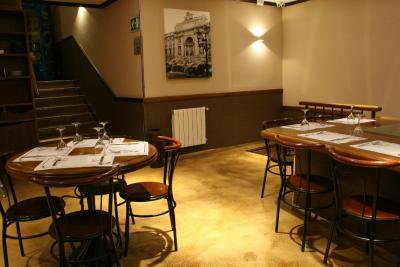 It is located in the main plaza of Llanes but away from the restaurants so it doesn't get too noisy. 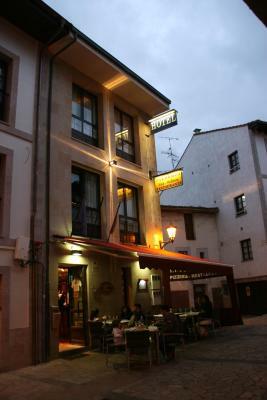 Great hotel to spend your nights in Llanes. Highly recommended. The hotel is very good value for the money. 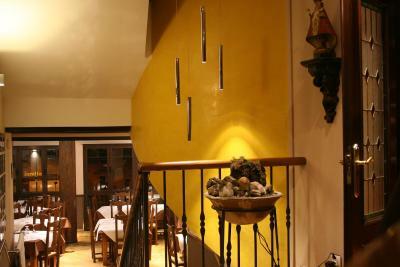 It is in a great location in the centre of Llanes and even offers free parking at the back of the hotel (just follow the street signs). The owner was very friendly and helpful, although he did not speak English (but a little bit of German). Our room was spacious and clean and we overlooked the beautiful promenade along the harbour. We can highly recommend this hotel for your stay in Llanes to explore the town and the beautiful area! Many stairs to carry suitcase from carpark - no lift. No air-conditioning + noisy street parties with open windows made it an uncomfortable night's sleep.